Thin layer technology to reduce material consumption as well as curing temperature, i.e., smaller particle size is favorable. 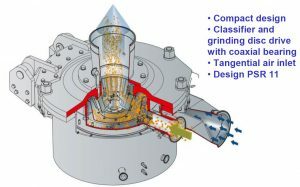 Fine grinding in principle is no problem, however, amount of fines (below 10 μm) increases with decreasing top size. 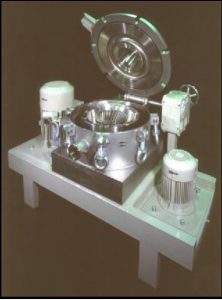 Too much fines lead to low powder flowability and poor coating quality.